Furniture expo Stockholm Furniture Fair is the largest exhibition of Scandinavian design, with 80 percent of the 730 exhibitors being from the Nordic countries. Still, the outlook is international, with Oki Sato, the founder of Japanese design studio Nendo, as this year’s Guest of Honour. Nendo’s presence is visible not only in the entrance hall, where the installation ”80 sheets of Mountains” is placed, but also at various producers who have collaborated with the design studio on brand new products. Nendo’s Small Black Vase is a collection of sculptural metal frames with a strong graphic look that combined with a glass turns into a vase. Produced by David Design. It is about the creation of products rather than the products themselves, says Oki Sato of the Nendo installation in the entrance hall of Stockholm Furniture Fair. 80 lasercut sheets of Forex foam board take on mountain-like shapes when stretched, and create a partly invisible landscape surrounding examples of Nendo’s designs up through the last decade. Gärsnäs’ new chair Emma is designed by duo Färg & Blanche. It is inspired by the easy chairs popular in the 1800s, but the construction is modern, with thick layers of felt keeping the back sturdy yet flexible without the help of a solid frame. Norwegian designers Torbjørn Anderssen and Espen Voll, of former Norway Says fame, now known as Anderssen & Voll, have created the wool throw Berg, meaning ”mountain”. Traditional textile craft is merged with a modern pattern and color combinations. According to manufacturer Røros Tweed the throws will be available in the US through Design Within Reach from the autumn of 2013. Nendo’s new product w132 for Swedish brand Wästberg is not a single item but a lamp system: A collection of parts that can be arranged in different configurations depending on what base, shade and/or pole is chosen. The shade comes in three different shapes and the lamp system is available in white, black and blue. 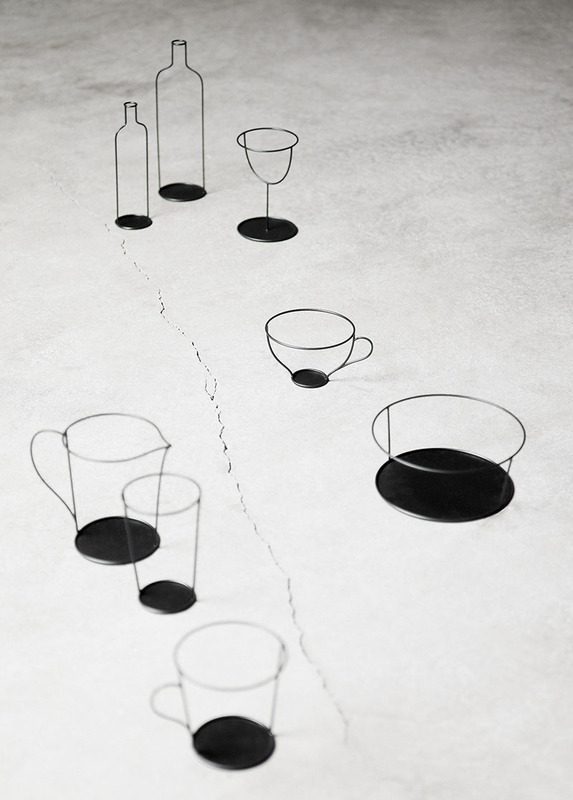 In Between is a true Nordic collaboration between the Danish brand &tradition and Finnish designer Sami Kallio. The name plays on the combination of industrial production and handcraft that goes into making the chair. In Between is made in soild wood and form-pressed veneer, and comes in white or smoked oiled oak as well as stained black ash and stained grey ash. Inspiration can be found everywhere: For Massproductions’ Chris Martin, the idea to the design of the Mega daybed came while he was looking at freshly baked bread on a wire rack at his local bakery. Both bread and leisure furniture represent comfort, life and stability, according to Martin. Plump cushions are enclosed and lifted by thin steel tube side panels. Offecct offers a playful portable seating solution with its Carry-On by designer Mattias Stenberg. It is a contemporary take on the pouf with a solid wood handle that makes it easy to take with you. The Carry-On is stackable and comes in a wide range of colors. Riga Chairs from Latvia specializes in molded plywood products, such as the rocking toy Roo by designer Aldis Circenis. Roo is made in birch, beech or oak veneer as well as laminate in various colors, and has already been honored by IF Design Awards. Seating furniture Holmen, meaning “the small island”, has a base in solid beech and down-filled back cushions fastened to the base with leather straps. Designed by Kristian Knobloch for Swedish brand Källemo. For more of our 2013 Stockholm on-the-scene coverage, click here!